Sun 1/12 at Wissahickon HS. L-R: Tracy, Dave, Gail, Jen, Hilary, Brian, Jen, Allison, Matt, Rosie, Marty, Anne, John, Steve, Chuck, Cara, Matt, Ryan, Diann, Charles, Mike, Gert, John. BTC: Jeff. 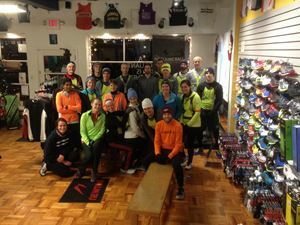 Thurs 1/9 at NWRC: great crowd for a warmer run! Tues 1/7 at NWRC: These are brave souls! 5 degrees! Yoga followed. 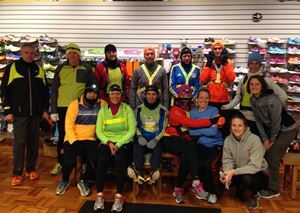 Thurs 1/2 at NWRC: cold, snowy, fun.